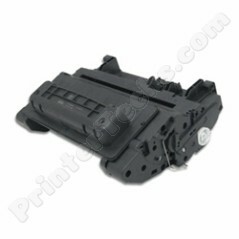 CC364A-J HP LaserJet P4014 , P4015 , P4515 series compatible toner. This is the 18,000 page yield cartridge. CC364A JUMBO HP LaserJet P4014 , P4015 , P4515 compatible toner cartridge. This is the jumbo version of the 'A' cartridge for use in the P4014N (but also P4015 and P4515). For use in the HP LaserJet P4014 , P4015 , P4015 series printers. This is the 18,000 page yield cartridge.